Saying that the Mac has been getting the short shrift is an understatement, recently, at least from a hardware perspective. Recently, macOS Sierra was released and I have been running it since a week before its public release and I can say it is the best macOS release I have run so far. Part of that, I would imagine, is that the features continue to be tweaks and integration points between macOS, tvOS, watchOS, and iOS and that leaves a lot of time to work on fixing bugs and minor annoyances. Many annoyances are fixed each and every release, which is great to see. However, I’m not the normal consumer and I am quite strange, so I do not consider my experience to be typical. While I might consider myself a power user, I tend to be a careful power user who minds the default applications and default settings and does not stray from them unless there is a need. I use as many of the default as possible, in other words. If what I am doing works and allows me to do what I need, I’m pretty happy. That doesn’t change the fact that Apple’s hardware on the Mac side needs a refresh, and I am not counting the update to the MacBook back in the April 2016, but looking at the rest of the line. Yesterday’s event was the start of the refresh and it is a very Apple start to a very Apple refresh. I’m less interested in the specifics of the new MacBook Pro than I am in what it seems to signal about upcoming refreshes and where the Mac line sits for the future. In case you have not heard the howling, Microsoft held an event on the day before Apple and released some new products as well. These have received some, overall, positive press and feedback from a variety of sources around the web. I will admit that Microsoft is doing some really interesting, and fundamentally different, things with their Surface lineup of computers. We have deployed the Surface Pro 4 at Martin Luther College to our faculty and so I have been able to use Windows 10 on a Surface device for almost a year. It is a very different idea of what a computer is. 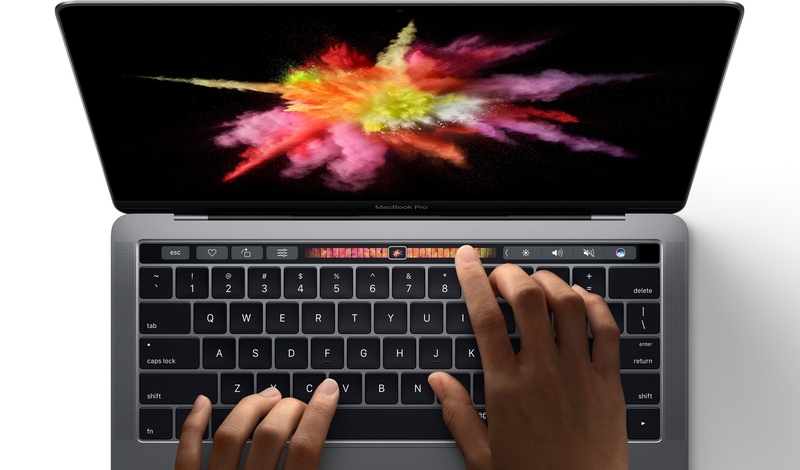 That is where the rub is right now: Apple has a different idea of what a computer is going forward, and this new MacBook Pro continues to drive that home. Apple’s lineup clearly is stating that the iPad, and more specifically, the iPad Pro, is the entry-level computing device now. Where the MacBook Air was the entry-level mobile computing device, the iPad now filling that role. From there, the traditional Macs are rising in price and pushing the Mac as a professional device in many contexts. That’s what the lineup says right now with the lowest-priced new 13″ MacBook Pro sitting around $1500. Even the slightly cheaper MacBook starts at $1300 and that device serves an even smaller niche. However, the 9.7″ iPad Pro starts at $600 and the 12.9″ iPad Pro starts at $800. Those are prices far more palatable to consumers if Apple is able to jump the gap from “big iPhone” to “small touch-based computer”. Will they be successful? I do not know, but these are really awkward times as Apple seems to be attempting to move the lineup while not giving in to the idea that their lines should merge like the Surface lineup has. USB-C is in … almost everything else is out on the Mac. The only other port is a headphone jack, but USB-C is going to handle everything from displays, to card readers, to power, to storage, and everything else in between. Granted, they are really Thunderbolt 3 ports, but this next generation of Thunderbolt has allowed Apple to simplify their port situation in such a fashion that everyone is going to complain about it. The fact that we are now able to have a single cable handle everything, including charging, and with a reversible port as well is such a huge step forward that Thunderbolt 3 is maybe the greatest temptation for me to upgrade my current 13″ MacBook Pro with Retina display. The idea of being able to connection two 4K displays hooked up to a single docking station with network, sound, USB 3, and Thunderbolt 3 ports ready to go is extremely enticing and exactly the way I would want to be able to set up a future workstation here at work. Yes, there is a dongle explosion at the moment to enable the usage of current and older technology, but that is temporary as well. The future is USB-C and I, for one, am happy to see it coming. That is about it from me. The devices are not as interesting as what it means for the future. There will always be come better, something coming in the future, and something that will appeal to some and alienate others so enjoy what you have, buy when you need to, and enjoy what you are doing!